Strange things have been afoot at Valve all year. Steam branching out into non-gaming apps, hiring economists, the development of new hardware like VR headsets, and persistent rumors that the company will release its very own Steam-based video game console in the future. While the company’s specific plans have remained vague, one thing is abundantly clear: Valve is preparing to expand in significant, industry-changing ways. New statements from the company’s outspoken co-founder Gabe Newell confirm that the company is gunning for Microsoft and Sony’s dominance of living room entertainment. The key to doing this will be growing the business of making and marketing PCs for the living room as an alternative to video game consoles. These PCs will naturally run Steam, Valve’s digital distribution service and online gaming community. Newell expects a number of PC manufacturers to start making these machines, but Valve will offer its own as well. Newell’s right that the PC and video game console industries are on a collision course. They have been for the past decade, as Microsoft, Sony, and Nintendo have turned their machines into multimedia devices rather than gaming-only machines, but the living room is also the last bastion of expansion for the beleaguered PC market. As tablets and smartphones have eaten into desk- and laptop sales, PC makers have struggled to innovate. Affordable, malleable entertainment PCs for the living room are a great opportunity for them. It’s already happening. 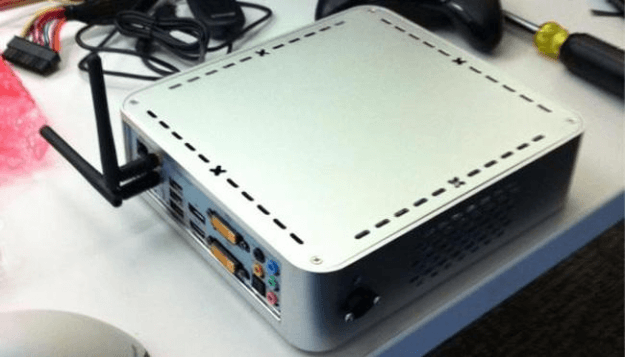 Ouya is, in effect, a living room gaming PC and not a console.